If a hard blow to your face entirely dislodges one of your teeth, you shouldn’t assume that the tooth is a lost cause. In fact, it might be possible for your dentist to splint it into place so it naturally renews its bond with your body. 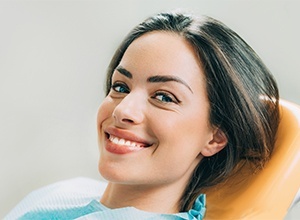 However, time is of the essence in these situations; if more than an hour or so passes between the time the tooth gets knocked out and the time you visit the dentist, it’s unlikely that your tooth can be saved. If a tooth only gets partially dislodged, don’t assume that it will heal on its own. It’s important to have a dental professional evaluate the situation and look for other signs of damage on or around the tooth. They may splint it into place to facilitate its successful reattachment to your jaw. If trauma breaks one of your teeth, it is important that you see a dentist as soon as possible. That’s because a deep crack in a tooth exposes its sensitive inner layers and makes the tooth more vulnerable to infection. Without prompt treatment, you could find yourself in severe pain. You might even develop an abscess. In rare cases, an untreated infection spreads far beyond the tooth and leads to a fever and other serious systemic issues. Crowns and fillings serve to protect a decayed or weakened tooth against further damage. When one of these restorations is lost, that tooth is more likely to become infected or break under the pressures of everyday life. Your dentist in Enfield may either reattach the lost restoration or recommend that you get it replaced altogether. If one of your teeth is in pain but you don’t know why, it’s a wise idea to see your dentist as soon as possible. They may be able to pinpoint the cause of your pain and address the problem before it becomes severe. Still Not Sure If It’s a Dental Emergency? If you’re ever unsure whether a situation constitutes a dental emergency in Enfield, the safest play is to call your dentist and describe the situation. They’ll give you personalized advice on your next steps and do their best to help you avoid making a mistake that could jeopardize your oral health. We hope you never have to face a dental emergency, but if you do, please see a professional for care right away! Dr. Venu Chimmiri is proud to serve as one of your dentists in Enfield. He has extensive experience in his field and is always ready to leap into action to help patients who are suffering from a dental emergency. If you believe you need immediate oral healthcare, please contact Four Town Dental at 860-749-6088.